Even spinach haters will eat this simple salad up! The homemade balsamic dressing is delicious. 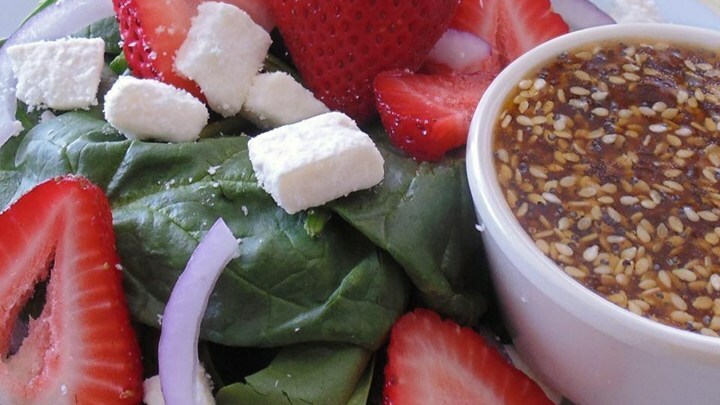 Toss strawberries, blueberries, spinach, and feta cheese together in a large bowl. Whisk olive oil, brown sugar, white balsamic vinegar, sesame seeds, poppy seeds, and paprika together in a bowl; drizzle over salad and toss to coat.